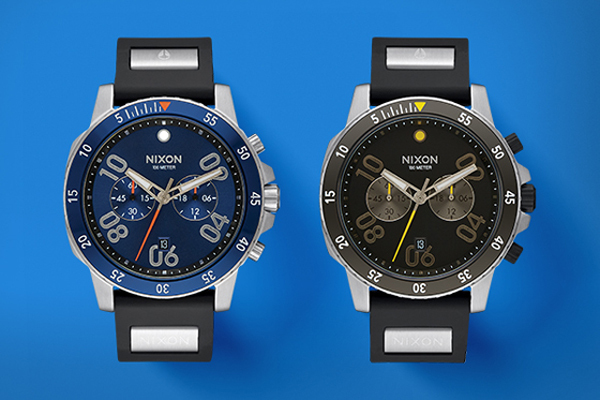 Featuring a moulded silicone band with a patented locking looper, the Ranger Chrono Sport watch by Nixon has both a rugged design and a contemporary appearance. “Field Instrument Inspired”, it has a 5-hand chronograph, plus 24-hour and 30-minute subdials. Available in black or blue, at $425.00.